This classic flush mount is designed to fit into any dicor. Features a brushed nickel finish and etched glass. Add a touch of class to any room with this handsome flush mount. 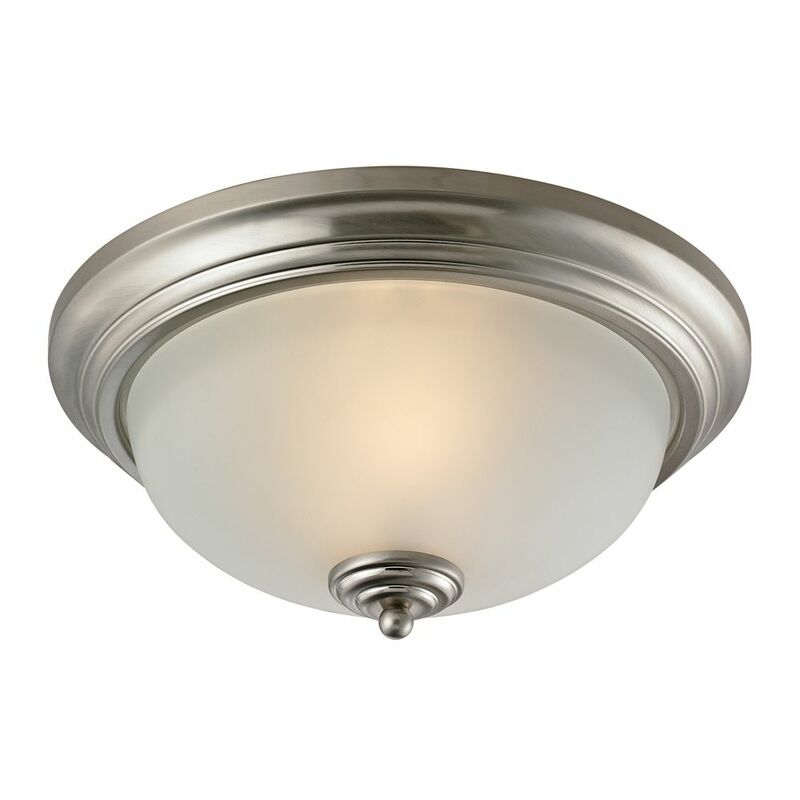 Features a brushed nickel finish with white glass. The Chadwick Collection Reflects The Beauty Of Hand-Turned Craftsmanship Inspired By Early 20Th Century Lighting And Antiques That Have Surpassed The Test Of Time. This Robust Collection Features Detailing Appropriate For Classic Or Transitional Dicors. White Glass Compliments The Various Finish Options Including Polished Nickel, Satin Nickel, And Antique Copper. Amber Glass Enriches The OiLED Bronze Finish. - LED Offering Up To 800 Lumens (60 Watt Equivalent) With Full Range Dimming. Includes An Easily Replaceable LED Bulb (120V). The Chadwick Collection Reflects The Beauty Of Hand-Turned Craftsmanship Inspired By Early 20Th Century Lighting And Antiques That Have Surpassed The Test Of Time. This Robust Collection Features Detailing Appropriate For Classic Or Transitional Dicors. White Glass Compliments The Various Finish Options Including Polished Nickel, Satin Nickel, And Antique Copper. Amber Glass Enriches The Oiled Bronze Finish. 3 Light Flush Mount In Brushed Nickel With Led Option This classic flush mount is designed to fit into any dicor. Features a brushed nickel finish and etched glass.